Home > Events > Win the Ultimate Fleetwood Mac Fan Experience and Enjoy the Concert in Style! 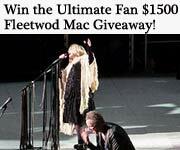 Win the Ultimate Fleetwood Mac Fan Experience and Enjoy the Concert in Style! If you love Fleetwood Mac don’t forget to enter Premiere Transportation’s Ultimate Fan Experience by March 31st! 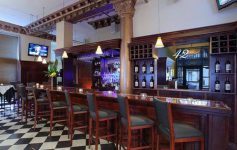 Fleetwood Mac is coming to the Times Union Center June 13th, and the winner of the giveaway will receive 4 “Suite” tickets to see Fleetwood Mac at the Times Union Center, 2 rooms at the Hotel Albany and a round trip limo ride – a prize package worth $1500! All you have to do to win this amazing prize package is enter your information here! Remember; the more you enter the higher your chances of winning – so don’t forget to enter once per day! Good luck!